Warm temperatures arrived today, after a warm front lifted north of our area earlier this morning. The warm air overriding the existing snowpack led to widespread fog this morning and afternoon. High temperatures reached the upper 40s in Alpena and middle 40s elsewhere across Northeast Michigan — normal for early April! A band of steady rain moved through our area earlier this afternoon, and patchy showers remain over Northeast Michigan. Some of these patchy showers could mix with snow while temperatures drop overnight, as a cold front moves through our area. Skies will dry out later tonight, and a mix of sun and clouds is expected tomorrow. Behind tonight’s cold front, temperatures will drop to a low around 12 degrees by early tomorrow morning. 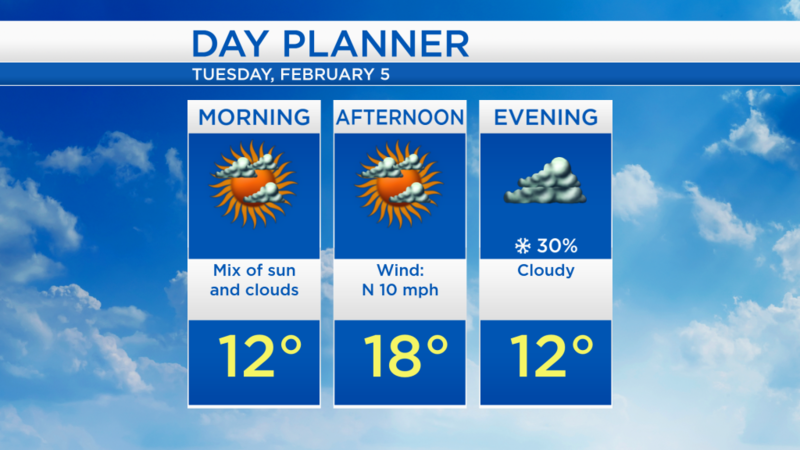 In the afternoon, highs will reach only the upper teens with a light breeze out of the north. A brief chance of some snow showers will move through our area tomorrow night-early Wednesday. A period of dry weather will move through our area Wednesday afternoon and temperatures will warm to the mid-20s. An icy mix of precipitation including freezing rain and sleet is forecast to arrive late Wednesday night and last through Thursday, creating slippery travel conditions. 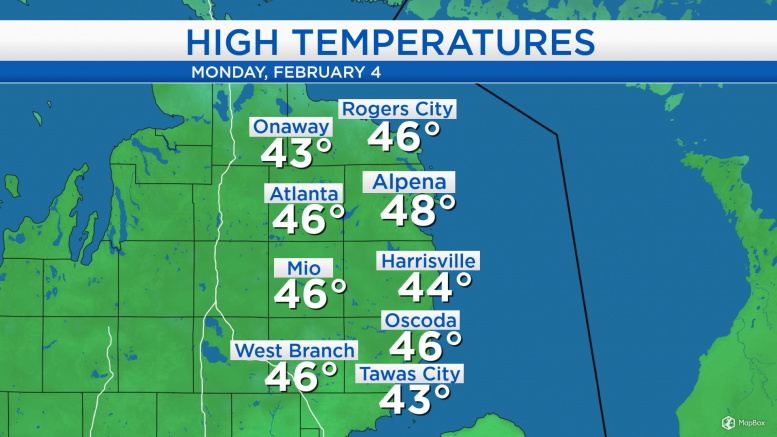 Highs will warm to about 30 degrees Thursday afternoon, before another cold front moves through Northern Michigan. After that cold front, afternoon highs will drop to the teens for the end of the week. For the rest of Northeast Michigan’s weather forecast, watch the latest weather video by clicking the weather tab at the top of the page.